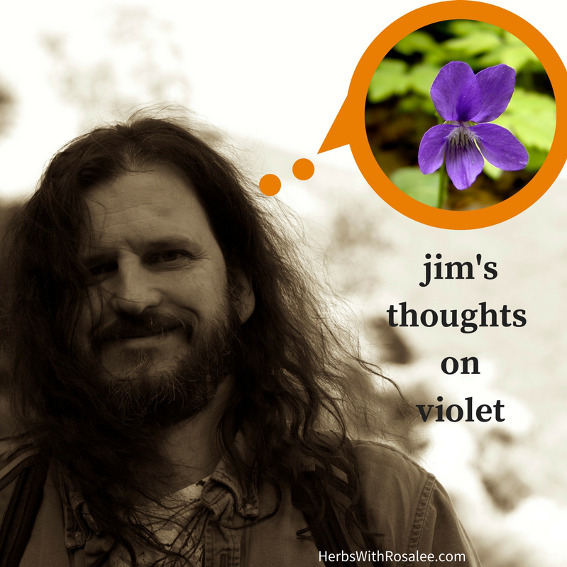 I am very honored to be hosting this guest article from Michigan Herbalist jim mcdonald. jim is one of my favorite herbalists to learn from. He has a rare gift of sharing his unique herbal insights through wonderful analogies and his eclectic wit. Spending time with jim means a lot of laughing as well as gaining insights into the plant world you don't hear anywhere else. jim offers a Four Season Herbal Intensive that gives students a core foundation in herbal energetics in western herbalism with a strong focus on bioregional herbs. Participants learn how to become herbalists who make their own herbal preparations to address the health and wellness of themselves and their friends and family from the plants that grow around them. 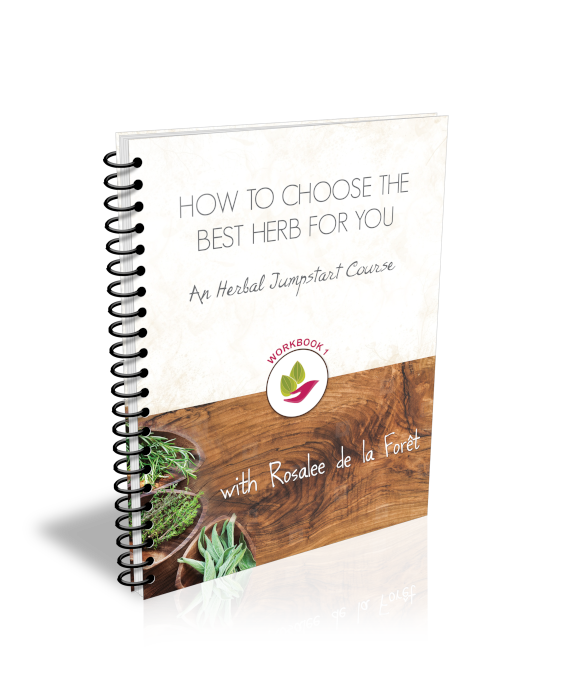 If you are interested in expanding your herbal knowledge I highly recommend studying with jim. He has a limited amount of spaces left in his herbal intensive so contact him ASAP if you are interested. 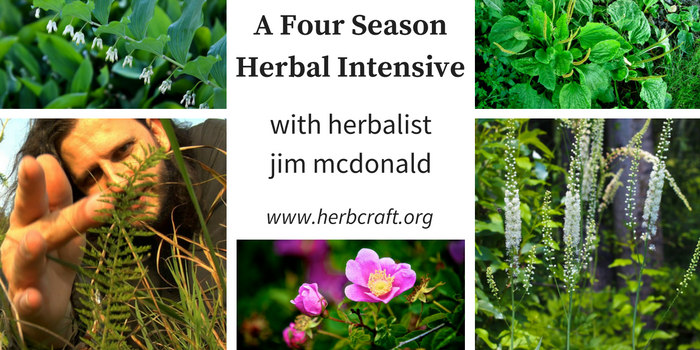 To learn more about studying with jim and his Four Seasonal Herbal Intensive click here. Foundational actions: primarily demulcent; astringent, bitter as indicated by taste. Some species have aromatic flowers. Here at my home in southeast Michigan these early March days have gotten warmer, hinting of the coming Spring, but there’s still a few feet of snow covering everything, making the promise of tender green leaves feel farther away than perhaps it is. Recently, I’ve taken to standing at the top of my ice-covered driveway and looking under the 5 feet of plowed up snow, beneath which a multitude of violets are sleeping. I’m seriously feeling those violets. 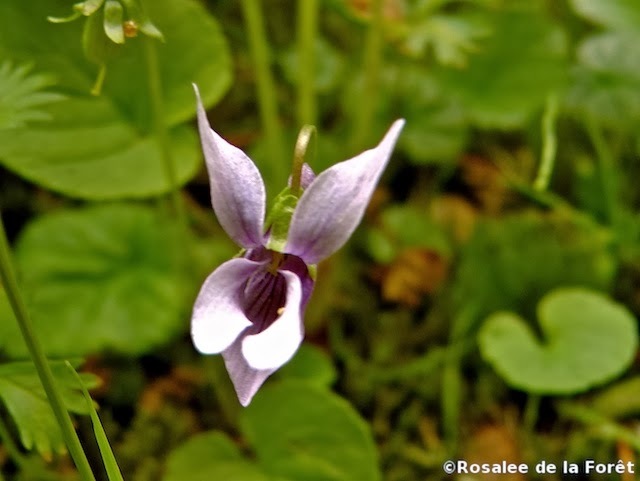 There are many species of violet and, as a genus, they are prolific… the USDA website indicates Viola species grow in every state and province in North America, though it’s important to note that 33 species are threatened or endangered in at least part of their range. Fortunately, most species tend to grow in abundant stands, covering the ground with their (often) heart-shaped leaves and welcoming spring with their delicate blossoms. 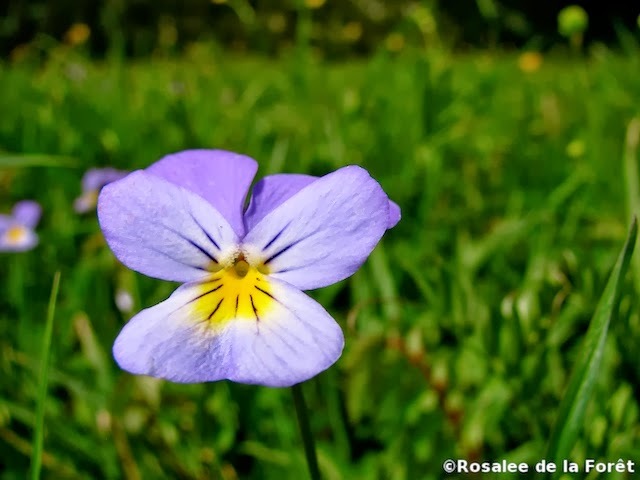 Despite the common name "violet", their flowers range from the palest of blues to white and yellow in addition to the light purple “violet” we imagine. 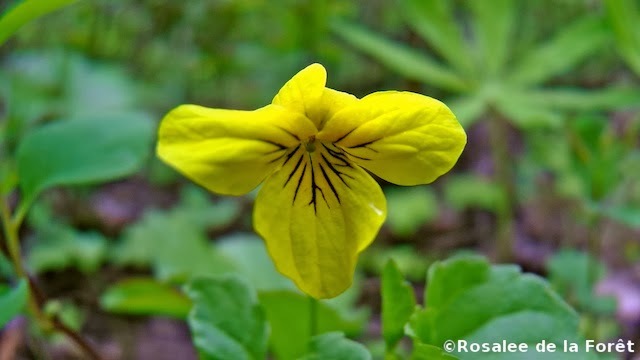 The heartsease pansy, Viola tricolor, offers three colors in one, but I’ve not yet seen it growing in the wild in the part of Michigan in which I live. Interestingly, the springtime blossom of the violet isn't a reproductive flower - these appear in late summer and are an inconspicuous green. The violet's spring blossoms have therefore been seen as a celebration of life and the rebirth of Spring, and are believed to banish despair and "comfort and strengthen the heart." I collect leaves and flowers each spring and have found that, if you keep picking them, new leaves (though not flowers) keep growing; therefore, the plant is available for year-round consumption. Lise Wolff, of Minneapolis, prefers to collect older leaves in the summer. I find violet sensitive to degradation, so be sure to store it in glass away from heat or light. The demulcent and nutritive qualities are more stable; its lymphatic actions seem less so. Violet seeds and roots contain a constituent that acts as an emetic, and are not regularly used. 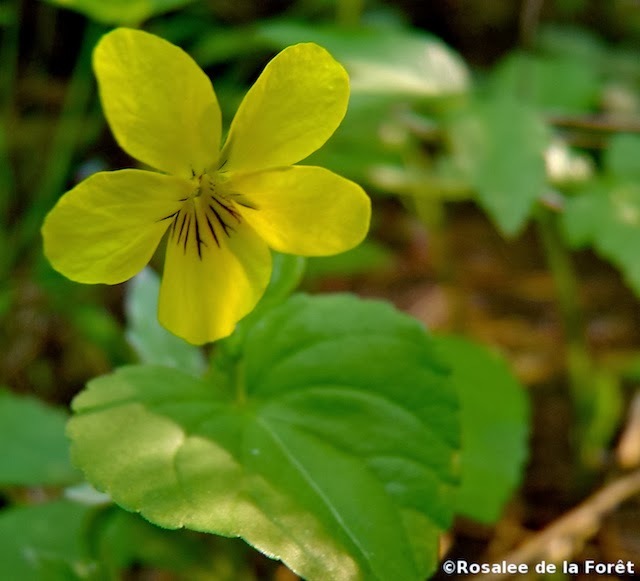 As mentioned above, there are threatened and endangered viola species. Know the status of what you are collecting in your area. “There’s a lot of them” doesn’t cut it; you can find local abundance amidst regional scarcity. 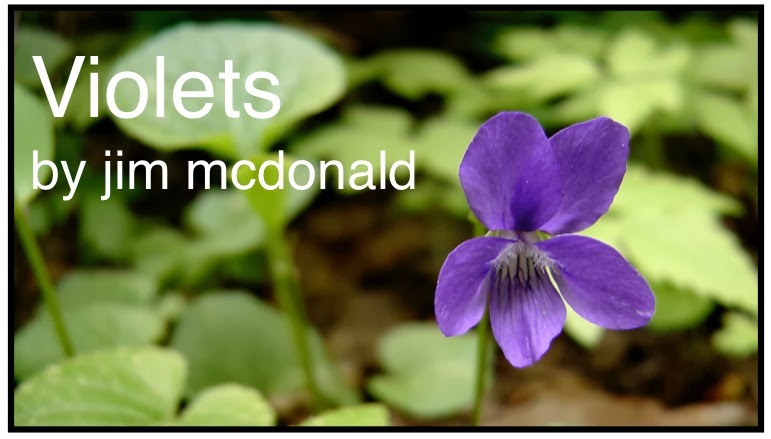 Medicinally, “violets” (on the whole, members of the genus seem broadly interchangeable) are exemplary in demonstrating that immense benefit needn’t be associated with the dramatic strength and medicinal intensity… something we should all try to keep in mind. On a foundational level, violets nourish. First and foremost: eat them. They’re delicious; when the leaves are young and tender they’re sweet and green-tasting; as they get older, some species develop more bitterness, perhaps some astringency. Add them liberally to salads, and pluck some out of the ground whenever you walk by. Oddly, for all the popularity of nourishing infusions in the herbal community, violets are still, in my opinion, too rarely prepared as such. Violet is rich in minerals, and especially abundant in vitamins A & C. They’re a perfect alternative or addition to those who try nettles and find its diuretic effect too drying for their constitution. Whereas many will suggest adding marshmallow or licorice (licorice has never sounded even remotely tasty to me), I find violet a much better compliment. Indeed, it might be the case that those with drier constitutions should think in terms of adding some nettle to their violet infusions. To most effectively extract the nutrition from violets, add an ounce of dried leaves & flowers to a quart of water just off the boil and steep overnight. A wondrous sippin’ tea can be made by steeping any arbitrary amount of fresh or dried leaves/flowers in hot water till cool enough to sip. Although nutrients are probably less efficiently extracted from the fresh plant, the tea just tastes wholesome and healthful. Mince up the fresh leaves fine to optimize extraction. Oh, wait… how do you know if you have a dry constitution? That’s a good question. Is your mouth frequently dry? Your throat? If you get a head or chest cold, do your mucous membranes tend to feel dry and tight, as opposed to stuffy and congested? Is your skin dry? Do you tend to have darker, stronger smelling urine? Those are good indicators. Of course, hydration and getting enough good-quality fats and oils in the diet is important. But violet will help in addition to that, especially for dryness of the mucous membranes. Violets contain a mucilage that accounts for a substantial portion of their medicinal merit, and this quality can easily be experienced by simply munching on the plant's delicious leaves and flowers, which will release the slippery mucilage... the more mucilaginous, the more potent the medicinal virtues associated with that. Mucilage coats, soothes and lubricates tissues, which will ease the pain of inflammation and promote the healing of those tissues. The fresh leaves can be chewed for a sore throat (try keeping a wad in your cheek, the way some people chew tobacco), or a tincture or tea of the plant used. The mucilage also helps to loosen and expel mucous from the lungs when it’s too dry for coughing to expel. A mild tea of fresh or dried violet leaves can be made into a nasal rinse by added ¼ teaspoon salt per 8 ounce cup of well strained tea, and it is wonderfully soothing when dryness accompanies inflammation of the sinuses. This same preparation can be used as an eyewash and is really quite impressive; use it when the eyes are dry and blinking feels like someone’s scratching sandpaper over your cornea. For both eye and nasal rinses, it combines well with a slew of other herbs, from plantain to strawberry leaves to purple loosestrife (I almost always use plantain). 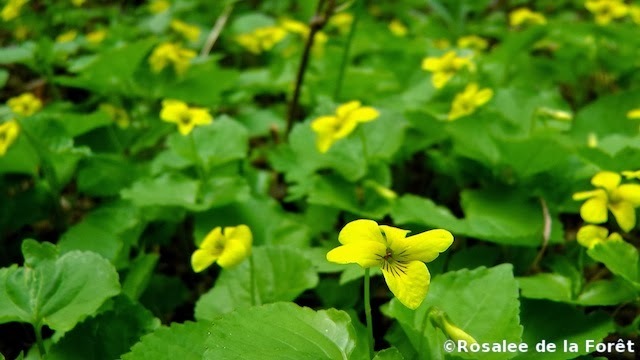 Violets have a reputation for acting as a laxative; this results from the mucilage helping to lubricate the intestines, helping to ease the passage of stool if it is inhibited by dryness. Along the way, it will help soothe corollary inflammation. To really manifest violet’s full potential here, infusions are preferable to tinctures, as they provide a volume of liquid to bathe and coat the tissues of the digestive tract. Topically, violet oil or salve helps ease the discomfort of hemorrhoids: apply liberally. Sits in violet infused sitz baths are likewise helpful. Chewed violet leaves, perhaps with a bit of honey, can be applied to corns and can sometimes soften calluses and tough skin. They would also make an appropriate poultice for any hot, inflamed swelling, be it bite or boil. Violets also seem to act notably upon the lymphatics, and are quite useful in acute congested states. If you’re just getting sick, your glands are swollen, tender and hot to the touch, violet internally and topically can be immensely helpful. I have a tendency to use a tincture of the fresh plant for internal use, though I may add this to a tea of the dried leaves and flowers, especially if the tonsils are swollen and inflamed. The topical applications usually feel immediately soothing. Violet can address older, chronic, “stuck” lymphatics as well, as it “softens” hardnesses to resolve blockage. So, those swollen, tender and hot-to-the-touch glands? They’re not tender and hot to the touch anymore, but they are still swollen, and they feel hard when you press on them. In such cases, I feel violet combines well with a small amount of poke; like violet, internally as tincture (1-3 drops of poke mixed into squirt of violet) and topically infused violet oil with no more than ¼ part fresh poke root oil. Poke on its own is irritating and instigating and not infrequently causes inflammation; violet balances and buffers that effect while assisting in the resolution of the congested lymph gland. Violet is especially well noted for its ability to resolve swellings and hardnesses in the breasts. Being abundant in lymphatic tissue, this makes sense and I’ve used violet oil topically for fibrocystic breast conditions, plugged milk ducts and mastitis. Occasionally, if it needs something more active, I’ll add poke root oil, as above, but not as a rule… I often find violet is fine on its own and doesn’t need to be pushed to immediate action with stronger herbs. I feel it’s important to massage the oil in, and not just rub it on, as the massage itself will assist in clearing congested lymphatics. There are numerous references in herbal medicine to the use of violets to treat cancer. Hildegard von Bingen stated that it "dissolves hardnesses" within the body, possibly referring to tumors, but also possibly to fibrocystic breast conditions. Hildegard made an ointment of violets with olive oil and billy goat tallow... this would no doubt be an excellent preparation (animal fats are as good as, and sometimes better than, plant fats and oils in extracting and delivering an herb's virtues) but, as billy goat tallow is somewhat hard to come by nowadays, beeswax can also be used, though lard or tallow from other sources is an excellent option (look for ethical sources on Local Harvest. Tobyn, Denham and Whitelegg state in The Western Herbal Tradition that the earliest reference to explicitly refer to cancer is from 1902. Maude Grieve’s A Modern Herbal, in 1931, makes reference to the use of violets in treating cancer of the throat and tongue through consistent use of the strong infusion, and a salve or poultice applied externally to tumors. From there, references abound, but frequently without any specifics or citation. I think it needs to be understood that cancer is a complex systemic disease, and we would be naive to assume that violets, or any other treatment, would be a "cure" for any or everybody’s particular case. The “______ cures cancer” mindset is a perilous one to fall into. Cancer isn’t one thing; there’s a huge difference between a lymphoma and breast cancer, both in the nature of the illness and in how it’s treated. Also, we need to remember that if we’re practicing holistically, we should be focusing on individual people, not the names of illnesses. This doesn’t mean violet might not be appropriate. It doesn’t suggest you shouldn’t try it, if a situation indicates the use of violet. In fact, the toll of cancer (and its treatment) often presents a state that does indicate the use of violet. Let’s just remember to beware of the perils of name-association herbalism, and of simplifying complex conditions that necessitate nuanced and personalized care. 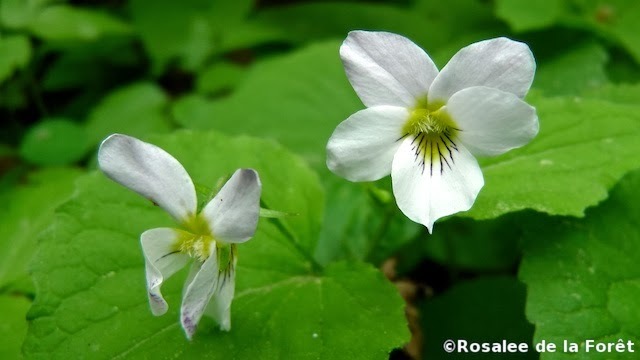 Violets, like meadowsweet, wintergreen and birch, contain methyl salicylate, from which aspirin is derived, though it seems to exist in lower levels than in these other herbs. 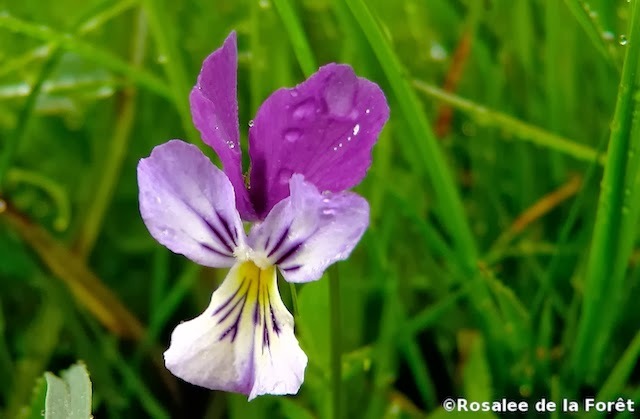 Nicholas Culpeper declared that violets "easeth pains in the head caused through want of sleep." Johann Christopher Sauer, a colonial herbalist, suggested applying an infused oil of violet and rose for a “feverish headache”. Freshly crushed leaves were applied similarly, as was the use of teas and syrups of the flowers, to various body parts to relieve all manners of pain and discomfort. But to simplify this down to “Oh, you can use violet for a headache instead of taking an aspirin/acetaminophen/ibuprofen” is too reductionist… you simply can’t reduce the action of a plant down to the actions of an individual constituent. Violet does contain methyl salicylate, yes, and so will possess some pain-relieving and anti-inflammatory action on account of it. But violet use as a food staple suggests that this is not a predominant action; also, pure methyl salicylate smells strongly of wintergreen: is that a predominant scent in your violets? I’ve noted that it’s more likely to be present in older leaves, but even then it’s subtle. If we consider traditional accounts of pain relief using violet, they are always connected to heat, and while its salicylic acid content likely plays a role in this, it’s not the beginning and end of it. If addressing a headache, perhaps tinctures of wood betony (for tension in the head/mind) or passion flower (for relentless brain chatter) in violet tea would be a better course of action than in thinking of violet as “nature’s aspirin”. Violet also exemplifies a quality that we simply don’t have a good term for. Here are a few phrases you’ll find in old herbals: “soothes/lifts the spirit”; “strengthens/gladdens the heart”… it’s tempting to try and insert the term nervine. But violets aren’t really nervine. Not quite. Or (and I’ll preface this with an “edag!”) antidepressant. But that’s not right either, and on the whole that’s not a helpful “action” to apply in herbalism. What violets do for the “spirit” or “heart” is what they do for the rest of the body; they nourish, strengthen and soothe. And I find the physical indications for violet play out here as well. Hot, dry temperaments (like the humoural choleric temperament) that tend to get frustrated and angry (we say “hot headed”) are particularly soothed by it. Kids who respond to stress with screaming and yelling till they’re red in the face. That. Oh, and it’s not only kids who do that. Here, violet isn’t the best acute remedy (though it does compliment skullcap well), but is better suited to a brew when you can see an outburst looming, or have noticed such events increasing in frequency… maybe as a deadline nears? Violet is also good for people who react to stress (or perhaps life in general) with rigidity. Violet softens. It inspires flexibility. Some “give”. If the person needing it is cool by constitution (cold and dry as opposed to hot), simply add something warming (spicy or aromatic) to offset its cooling nature. Reviewing the virtues of violet, the degree to which it is undervalued seems apparent. William Cook, the Physio-Medicalist, didn’t mention violet in his Physio-Medical Dispensatory. Nor did the eclectic Finely Ellingwood in his American Materia Medica. Felter and Lloyd, in King’s American Dispensatory, do address it, but offer very little information and seem to apply the emetic properties of the seeds and roots to the plant as a whole. So perhaps these omission played a role. It’s not like there’s a lack of conditions characterized by heat and dryness. It’s not like violets are obscure or difficult to find. It’s not like tradition didn’t laud their virtues. It’s not like there aren’t a whole lot of frustrated angry cholerics that could use some softening and gladdening. I put forth violet as a mild herb and food that will more than suffice. Poultice: crush fresh violets and apply topically; dried violet can be blanched in hot water to reconstitute. Fresh violet tea: mince an arbitrary quantity of fresh violet leaves and/or flowers in hot water and steep till drinkable. Yum. Dried violet tea: do the same as above, but with crushed dried violet. Cold infusion (to extract mucilage most efficiently): steep 1 ounce of dried violet in 1 quart cool water for 3+ hours. Strain and drink. Nourishing violet infusion: pour a quart of boiling water over 1 ounce of dried violet. Steep 4-8 hours, strain, and drink (you’ll get mucilage from this preparation as well, as it will be extracted after the water cools). Nasal/eyewash: infuse violet in water (cool water will extract more mucilage), and strain through a coffee filter to ensure no floaties (which are fine for drinking but not so fine for pouring onto your eyeball). To each 8 fluid-ounce cup, add roughly ¼ teaspoon salt. Stir till the salt is dissolved. Use as an eyewash in an eye cup, in a nasal spray bottle or neti pot. Violet oil: wilt fresh violet leaves/flowers, and infuse in your choice of oil or fat for a few hours to a day-ish over low heat. Violets frequently spoil when infused in mason jars in the sun because of their high water content, and even stovetop extractions can go off if any residual water isn’t removed before bottling. 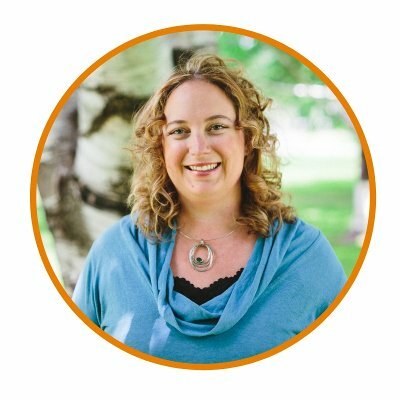 Check out Henriette Kress’s “Troubleshooting Herbal Oils" tips here for tricks and tips to avoid this potential bummer. Many tradition sources laud a combination of violet and rose flower infused oils… try it. Tincture: make a simple tincture by mincing fresh violet leaves and/or flowers and covering with 100 proof vodka in a mason jar. Macerate at least two weeks. Or, if you prefer, add 2 ounces of grain alcohol to every one ounce of minced fresh violet in a mason jar. Macerate as before. I probably wouldn’t tincture dried violets, though I imagine very recently-dried violet might be fine. Interested in learning more herbal insights from jim mcdonald? Check out his Four Season Herbal Intensive!